The NACCW is an accredited training provider registered with the Health and Welfare Sector Education and Training Authority (HWSETA). 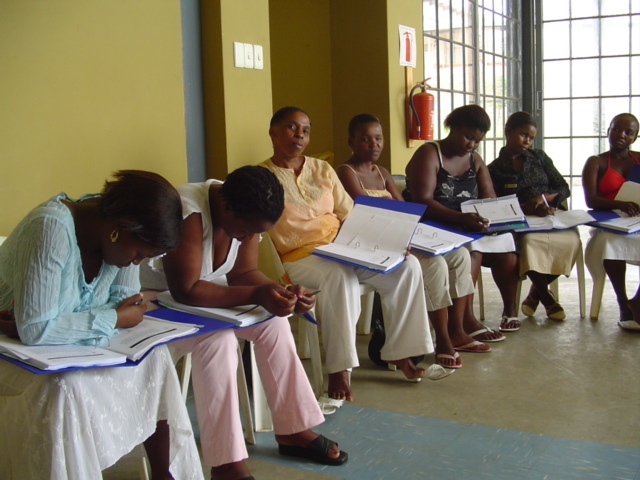 The NACCW delivers training to the Further Education Training Certificate: Child and Youth Care Work (FETC: CYCW) in modular form across all provinces of South Africa. Non-accredited training courses on offer cover topics where intensive exposure helps people to implement specific skills and knowledge. These include, amongst others courses on restorative practices, creative activities and the management of sexual abuse. All NACCW training course includes contact time between trainers and trainees, and a form of assessment. Each of the 14 unit standards of the FETC forms a discrete skill and knowledge area in child and youth care work, and so each training module of the FETC is offered as a stand-alone course – for which learners receive recognition from the Health and Welfare SETA. Training is also offered in an integrated form in four discrete skill areas. The NACCW selects experienced child and youth care practitioners of integrity to be trained as trainers. All NACCW trainers respond ‘in the moment’ to the practical child and youth care challenges brought by learners into training sessions. “What should I do in this situation...?” is a question frequently asked by participants learning new and different ways of working with children. Trainers are also selected to meet specific participant needs. This includes language and cultural skills alignment where needed. The NACCW has trainers in every province, and will train wherever there is a need. The NACCW is committed to the development of child and youth care skills as well as knowledge. We want to be sure that NACCW graduates are not only able to talk about working with children and youth, but are able to implement new skills after training. Hence NACCW training is experiential (including activities, role plays, group work), and is delivered in keeping with the principles of adult education. Participants’ prior learning and experiences are valued and acknowledged, and used as a foundation for developing new intervention repertoires.